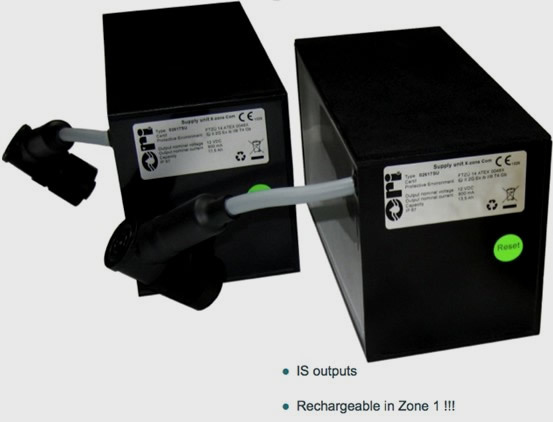 As an alternative to Explosion proof batteries, there is our intrinsically safe battery. What is unique about our batteries if the ability to recharge them in the Zone 1 area. The batteries have an option of IS and non-IS outputs. Capacity up to 22 Ah. Basically, the batteries provide a method for operators to power an instrument or device in the hazardous area where it has not been possible previously using batteries. For more information, please send us your application requirements so that we can reply immediately on the suitability of the batteries for the hazardous area application.